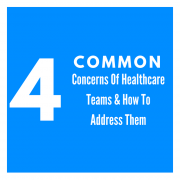 Recruiting skilled physicians who fit the team and respond well to patients is a top priority for any growing organization, yet retaining those individuals is often overlooked. Unfortunately, replacing a physician is costly, both financially and from a change management perspective. Financially, it includes recruiting fees that can increase based on geographical supply-demand ratios, patient population needs, and specialty. When it comes to change management, onboarding a new physician may include assigning another team member to work with them, training them in the new electronic medical record, and helping them adjust to the workplace culture. The loss of a physician clearly poses both financial and time-commitment risks. A common misconception is that physicians often change jobs because they receive a better offer from elsewhere, but our research has shown that this type of job hopping (with the exception of locums, of course) is the exception and not the rule. Physicians who have been with their practices or organizations for several years tend to have a great relationship with the administration. Transparency should exist in finances and partnerships, so that physicians are always aware of what’s going on in their workplace and trust the people they work for. Effective communication with the team goes hand-in-hand with this. The administration should, of course, remain open to any concerns their team has, and can even conduct annual surveys to stay informed. 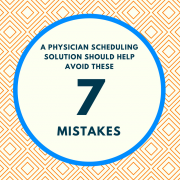 Transparency in scheduling is an important element of improving physician retention. 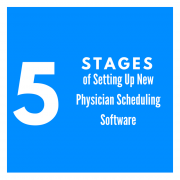 We’ve noticed that schedulers who are able to generate reports with easy to explain coverage and work total statistics can answer any questions a physician may have about the schedule, resolving conflicts quickly. 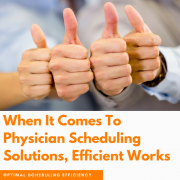 Instead of simply being told the reason for a scheduling decision, reports deliver the visual, condensed, and straightforward proof physicians appreciate. 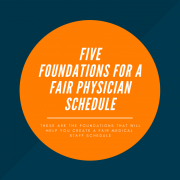 Considering time and compensation may be the two most important factors for physicians, this benefit holds significant weight. Work hours and shift patterns can greatly affect work life balance. 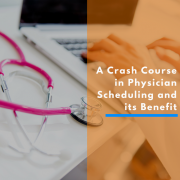 Understanding what each physician prefers in terms of time off and vacations is important, but also time consuming. It requires reviewing the individual’s key needs and recurring requests. 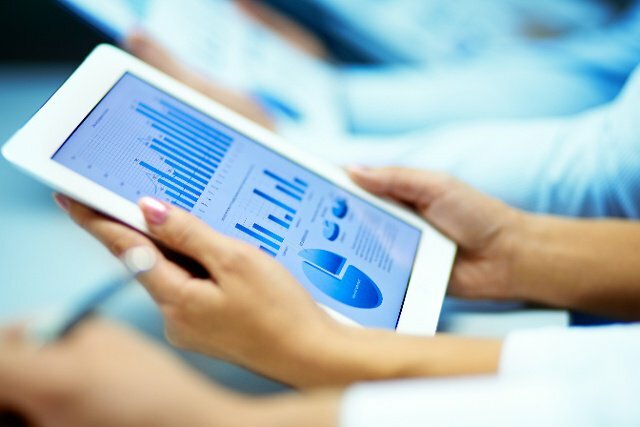 In fact, one of Intrigma software’s most valued retention features allows an organization to quickly analyze requests from physicians and get a better understanding of their personal priorities in a quantifiable manner. It then monitors those needs, ensures they are being met, and coordinates their availability with workplace staffing requirements. This saves the scheduler hours of manual labor. 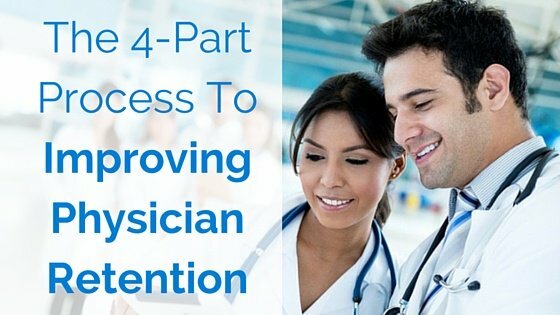 Understanding a physician’s needs shouldn’t stop after the recruitment process. Once they’ve been hired, physicians want to feel welcome and a part of the team; essentially, the team will become another family, as physicians tend to form strong bonds with their colleagues. 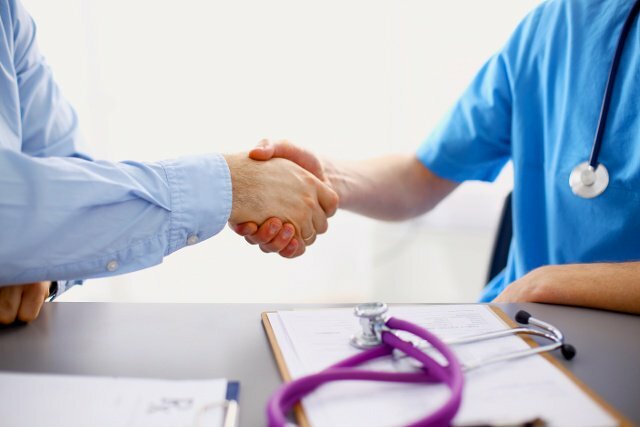 A mentoring program is a great way to help a physician adjust, and having a knowledgeable team member guide them through the environment can help ensure this and foster relationships. Other staff members should be open and available to answer questions as well, if needed. Banner Health claims that by successfully enacting a mentoring program, they lowered their 10% physician turnover a year after implementation. 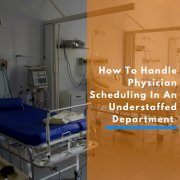 After hiring, administration should reach out to the new physician to check in, answer any questions that arise, and give constructive feedback, especially while the physician is still learning how the organization works. This communication process should continue for the first few months, often enough that the physician doesn’t feel neglected or ignored. Monthly social activities, like luncheons and networking conferences, are great opportunities for old and new team members to get to know one another outside of the daily pressures of practice. The goal here is to make the adjustment phase as seamless as possible, so that the physician wants to remain with the team. Physician retention starts at recruitment. When a physician’s personal and professional needs are taken into account from the beginning, it builds a strong foundation that may lead to a long career with the organization. During interviews and initial meetings, look beyond the salary needs to understand how comfortable and convenient the organization’s location is, and what the physician believes is necessary on a daily basis to deliver excellent patient care. We even recommend discussing the spouse’s and family’s opinion and goals, if the physician is open to it. For married physicians especially, their family’s comfort with the process tends to be a priority, because work hours (and relocation, if that’s a factor) will affect them all. 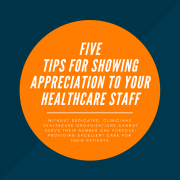 The tips above are proactive measures to prevent problems from emerging later on in employment that may encourage a physician to leave the team. What other areas can you focus on to improve retention? Share your stories and suggestions in the comments!